V is the player controlled protagonist in Cyberpunk 2077. 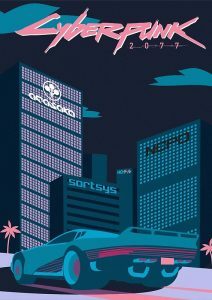 A game set in Night City, a dystopian American megacity in the Free State of California. V is a cyberpunk mercenary, and even though he / she is fully customizable there are a few staple items and fashion rules to follow if you want to cosplay as him / her. If you're looking for a costume guide to dress or cosplay like V in Cyberpunk 2077 check out our complete guide below. 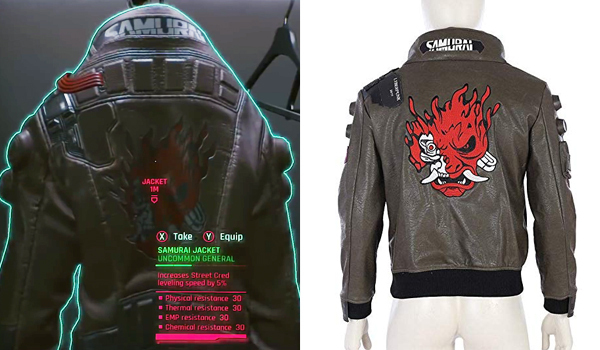 The Samurai jacket that the female version of V wears in Cyberpunk 2077 is an olive-grayish leather jacket a collar and a samurai logo on the back that can illuminate. This replica is a close match but it can't illuminate. 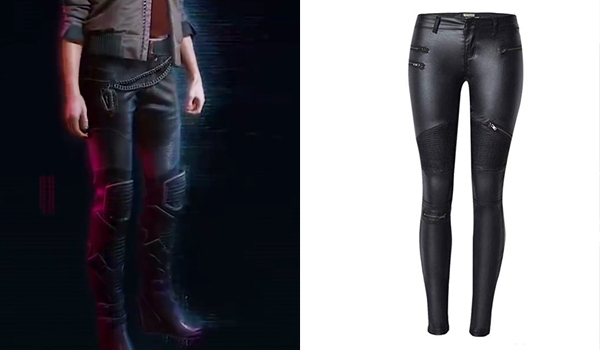 The pants that the female version of V wears in Cyberpunk 2077 are black leather pants. These pants are a super close match. 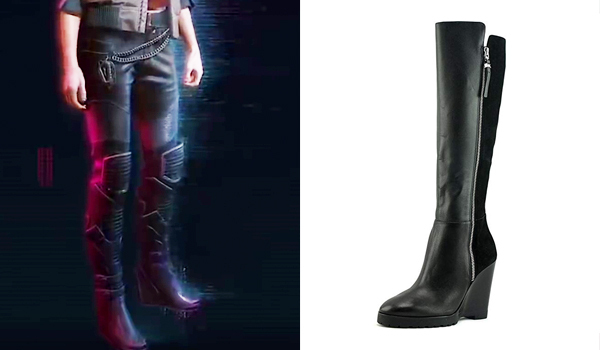 The shoes that the female version of V wears in Cyberpunk 2077 are black leather wedge boots that go up to the knee. If you're just looking to make a one-time cosplay we recommend the Brinley Co Faux Leather Boots, but if you want to wear a nice pair of boots more often, the Michael Kors Clara Boots are a good investment. 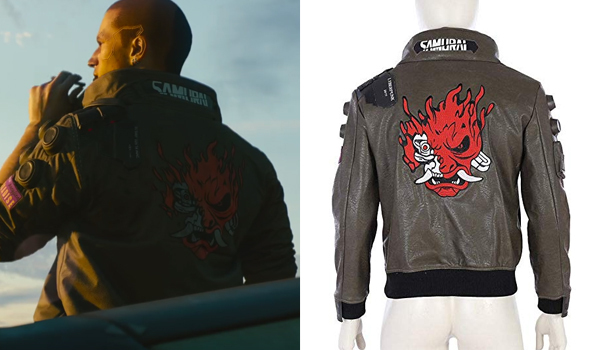 The Samurai jacket that the male version of V wears in Cyberpunk 2077 is an olive-grayish leather jacket a collar and a samurai logo on the back that can illuminate. 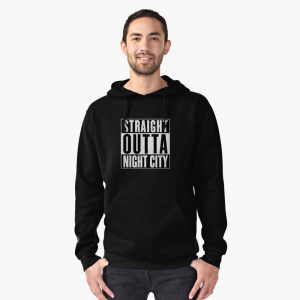 It's the same jacket that the female version has. 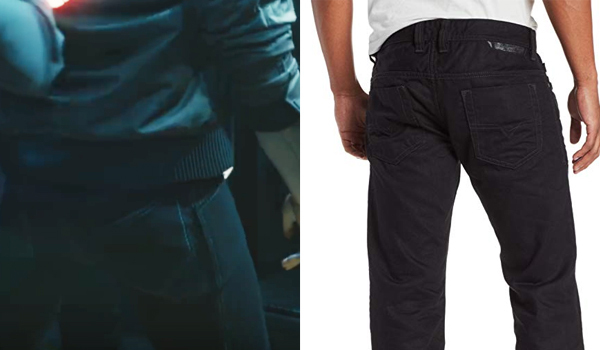 The pants that the male version of V wears in Cyberpunk 2077 are black jeans with white threads on the back pockets. If there was a model in real life it would probably be this Diesel pair of black jeans. 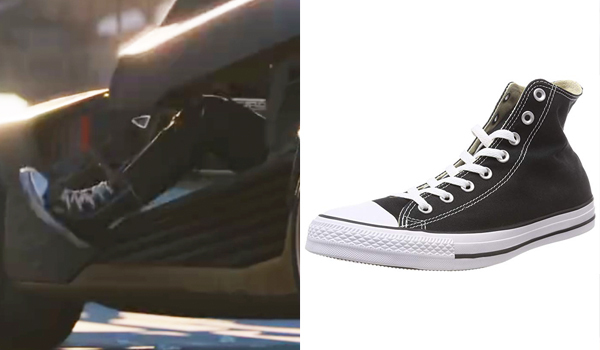 The shoes that the male version of V wears in Cyberpunk 2077 are black and white sneakers. If there was a model in real life they would probably be Converse All Stars. 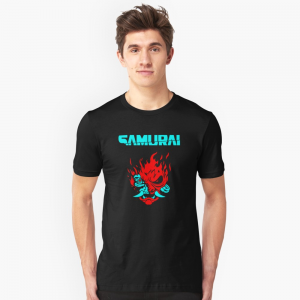 If you're looking to rock the Cyberpunk style in an everyday setting, EDCKit curated a more everyday carry kit inspired by the game. Nice. The game as already people cosplaying and hasn’t been released yet.